Millipedes normally live outdoors in damp places. Around homes they live in flowerbeds and gardens. People find millipedes under mulch, piles of dead leaves, or under piles of grass clipping. Millipedes also live under structures like dog houses and storage sheds. Millipedes thrive in places where the soil stays damp. They eat dead leaves and decaying wood particles that they find. In the fall, millipedes often migrate. They move out of their normal habitat. Scientists suspect they may be trying to get ready for winter. However, millipedes have also been seen migrating after a heavy rain has flooded their habitat. 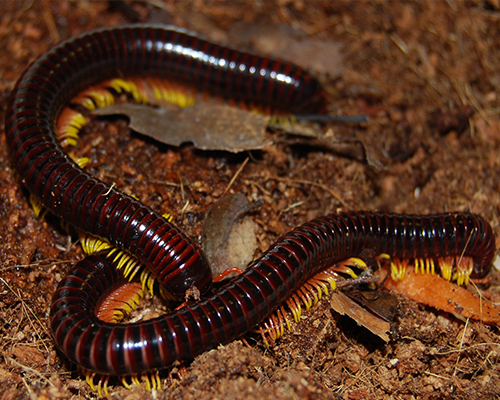 During these migrations, millipedes often find their way into homes. When they come to a home, millipedes gather on porches and patios. They climb the foundation of the home and they often find entryways. They enter through basement doors and windows, crawlspace vents, and garage doors. 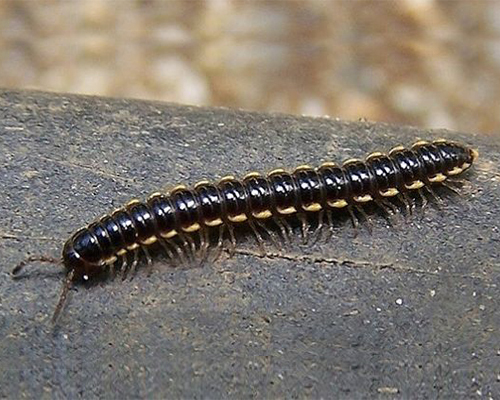 Many homeowners find millipedes in their basements. They may hide under furniture or boxes of stored items. Since many basements are dark and undisturbed, the millipedes can be very active. Crawlspaces are excellent millipede habitats. There are often boxes of stored items and pieces of lumber on the ground under a home. 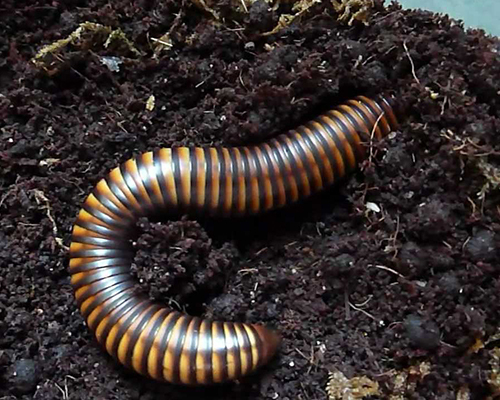 The millipedes can feed on dead leaves that have blown into the crawl space or small pieces of damp or decaying wood. As they move around, many millipedes move into the living space of the home—often in great numbers. Millipedes can enter homes by crawling under doors that have missing weather stripping. They also enter homes from the garage or by coming up from the crawl space through the floor.